Lastly, I'll leave you with a few of my favorite Christmas projects from last year! My favorite time of the year! Christmas will be here in less than 2 months! Holey Moley! Where did this year go??! I hope you all have a wonderful week! I will check back soon, during the move. I will be having a giveaway soon!! ;) So stay tuned for that! Hi everyone! Boy, have I missed this blog and all of you! I am taking a break in my packing to share some exciting news with you all...yes, we still haven't closed...I'm so bummed..unexpected delays with the seller...but we should be closing this coming week...I'll keep you all posted. Thank you so much for all your sweet well wishes! They mean more to me than you'll ever know! Hmm...I may just need to have a giveaway soon, to show you all how much I appreciated it!! Fun! 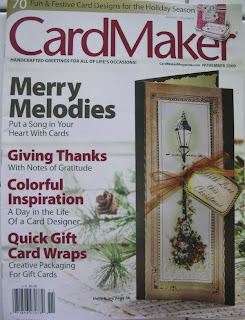 I have finally been published in CardMaker Magazine! No getting bumped for advertising space this time!! Woo-Hoo! :) I have 2 cards in the November issue that is in stores now! I am so thrilled and excited! These are the 2 cards that are in there! Well, I better get back to packing..ughh! I miss you all and will be back again real soon! I have a couple of Dirty Dozen projects I want to share with you! Stay Warm! All you have to do is 1) Leave a comment on this post 2) Leave a link on your blog to my giveaway. If you don't have a blog, no problem! Just tell me how you will spread the word! My son will pick a winner out of a bowl on Monday, August 31st at 3pm est! So good luck to you all! Lastly, I'll leave you with a fun little project I made for the May Dirty Dozen/Fan Club Gallery over at SCS. It is a little wire birdcage that I picked up in Michael's awhile back. I just added some ribbons, string pearls and some clear acrylic butterflies, that I also picked in Michael's in the wedding section. 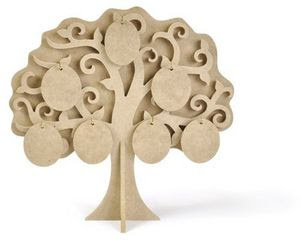 Add a little votive and a little stick pin with your message and it makes a cute little gift. Well, I didn't get to do my post on Saturday like I wanted to...another crazy weekend! 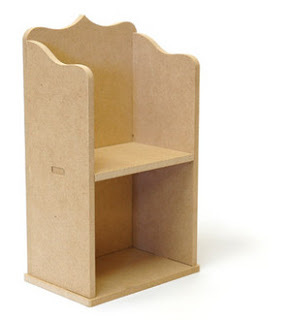 I am also finding it hard to think and sit down to design things lately. My mind is somewhere else! But it's a really good thing! More on that at a later date! (and no I'm not pregnant! Not yet anyway! ;) This past weekend Shimmerz Paints was the sponsor over at Triple the Sketch. You can see the post HERE. We had a fun sketch to work with. So this is what I came up with. 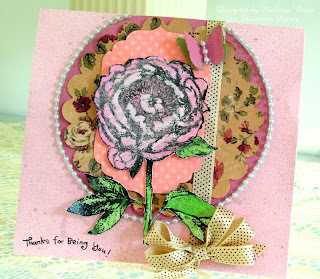 This card uses a beautiful stamp by Flourishes stamps called Peony. I "colored" it in with some Pink Poinsettia, Hotty pink and Celery Shimmerz. I used some papers by Melissa Frances and Bo Bunny(polka dots). The pink card base was sprayed with some Shimmerz Spritz in Truffle and then when the card was finished I gave it a quick spray of Baby's Breath Shimmerz Spritz for some added shimmer. 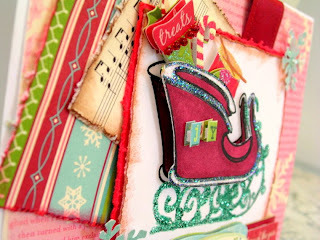 If you would like to try and win some Shimmerz, all you have to do is visit this post HERE on the Triple the Sketch blog and leave a comment with a link to your card, LO, tag or altered item using the same fun sketch that I used. As you can see, I turned it around a bit for my card, which you can too!Good luck and most of all, have fun! Autumn is right around the corner...it will be here before we know it...pumpkins...corn stalks...mums...scarecrows...my favorite time of year! And one of my favorite seasons to make cards for, besides Christmas. So why not get a jump start! All the new Fall themed products that has just been released are so beautiful. I couldn't wait to use them! 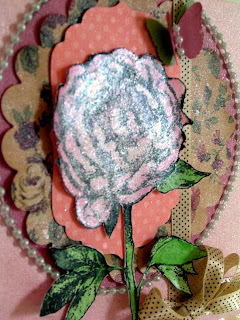 Here is a card I made using paper and a postcard from Pink Paislee's new lines, the Twilight and Amber Road Collections. And the Autumn Memories stamp is also from their new line of stamps. What beautiful collections...but what else would you expect from Pink Paislee! The pumpkins are made out of white felt. I just trimmed them out with pinking shears and then added some Marigold Shimmerz and then some Spiced Cider Blingz around the edges. I then added some more brown felt, green ribbon as the leaves, a button and some more hemp cord. Hope you like it?!! I hope you all have a wonderful weekend! I usually don't do posts on the weekends, but I will have something for you tomorrow. Shimmerz and Triple the Sketch have teamed up this weekend for some fun shimmery layouts with their awesome sketch! 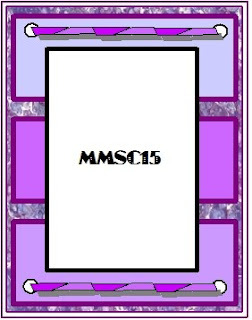 So I will have the card I made here and on the TTS blog! Oh, and Monday my blog candy winner will be chosen! So good luck! See you tomorrow! All this week, the Shimmerz DT is showing off their projects that we made with a swap with Cornish Heritage Farms stamps! They are such adorable stamps! Here are some projects that I made with them. 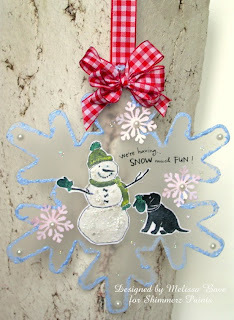 Snowflake Ornament using the Snowman and Puppy set. You've Got Style, Baby! Card using The Lady's Future set. 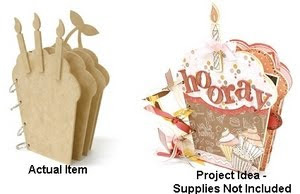 All the details on these projects can be found on the Shimmerz Blog. Today is Lindsay's Stamp Stuff Day! That means there is a free digi stamp to give away! All you have to do is visit the other DT members, listed below, and you will find a "spooktacular" digi stamp just in time for Halloween! 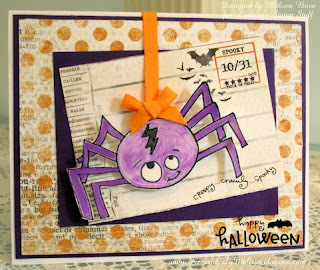 For my card I used the adorable Harry the Spider digi stamp. I colored him in with some Shimmerz paints in Lilac and Coal and then popped him up on the card with pop dots and some orange ribbon. The papers and post card I used are from the new Pink Paislee Halloween line called the Twilight Collection. I finished it off with some Melissa Frances rub-ons. Don't forget that Lindsay still has her special ongoing. For every $5 you spend, you get a free digi stamp! You can visit her store HERE. Now let's go and find that FREE Digi Stamp! Oh, and please, don't forget to leave some love for them too! I'll be back later with some projects using Shimmerz Paint and Cornish Heritage Farms stamps! In the meantime, you can check out the Shimmerz Blog for other great projects using Cornish Heritage Farms stamps and Shimmerz! Well, time is just going too fast! This is my last card as the August Guest Designer for the Midnight Madness sketches over at Priscilla Styles! What a great time I had! The Design team and Priscilla herself are just the sweetest people and they are so organized and work so well together as a group! They are amazing! Thank you for letting me share the fun with you girls this month! I had a blast! Another great sketch to work with! I decided to make another Christmas themed card...my favorite! 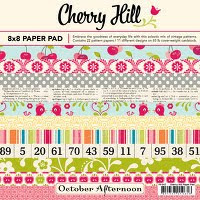 And I used my fave papers...Good Cheer by October Afternoon...I could use these papers forevah! I also wanted the card to have a 3-D look to it. 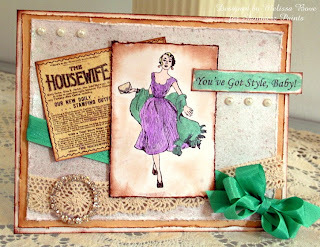 There will be a tutorial up soon over at Priscilla Styles, showing how I made this card. 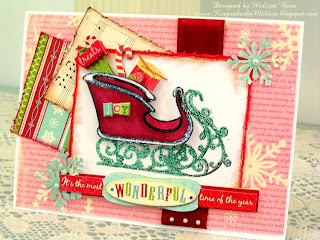 The sleigh is a stamp by Flourishes...one of my favorite Christmas stamp sets! The snowflakes are punched by Martha Stewart! Yes, Martha punched them herself! LOL I just added a little glitter and pearls to them to make them sparkle like the rest of the card. The weekly sponsor for Priscilla Styles is Michelle Perkett. She is a wonderful artist who believes that the world can always use more happiness, innocence, color and inspiration. 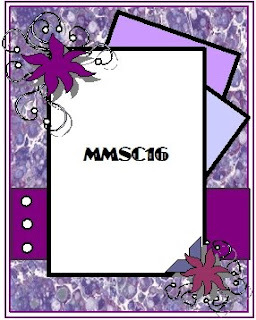 You can visit her shop HERE for some gorgeous and wonderful Digi Stamps. And don't forget the monthly sponsor is still Simon Says Stamp! 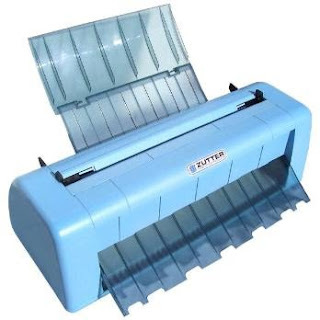 Visit their store HERE for some great products at a reasonable price! Here is this week's sketch! I turned mine around a little bit! And here is the rest of the Midnight Madness DT! Remember to let your loved ones know how much you love them..life is so short and precious. You will be sadly missed Michelle! This is my card this week for the Midnight Madness challenge over at Priscilla Styles! 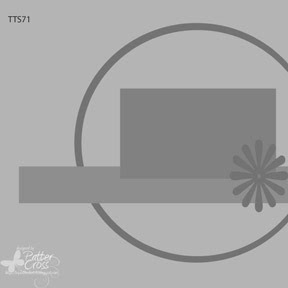 I used a digi stamp by Sunshine's Stamps, which is this week's sponsor. What an adorable image! great for an everyday card, or a thinking of you card to your sweetheart or even a Valentine's Day card! Check out all the fun and whimsical digi stamps that are for sale, HERE! I used the digi image, called Burnie Toaster, on some papers by October Afternoon (cherries) and Webster's Pages. I colored in the image with Copics and added a little glitter to brighten it up. What a fun sketch it is this week! I love the ribbons, or whatever you want to use, along the sides. Very clever! You can have lots of fun with this one! Just visit Priscilla Styles to join in on this week's fun! And also, don't forget to visit Simon Says Stamp! This month's sponsor, for some great products! They have everything!! Here is the rest of the Midnight Madness Design Team! Well, tonight is my last reveal as a member of the Dirty Dozen ...whew!...6 months sure goes fast! This months theme is super fun! If you are a member of the Fan Club over at SCS, then stop by tonight at midnight, cst. 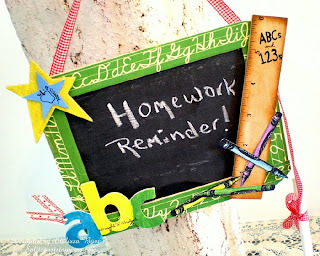 (if you are still awake! ;) and say hi!! The Dirty Dozen members have even done tutorials this month!! I made a fun project using Shimmerz paints and a mini chalkboard!! Here is a pic of it! Can you guess this month's theme?? Art for every Woman card. I hope you have a wonderful weekend! See you back here on Monday, maybe with a giveaway!!! *wink* Oh, and Congrats to the 2 new Dirty Girls! !